This blog gives good tips for keeping your teeth happy and healthy during the Halloween candy season. We all love candy, you don’t have to give it up entirely to have a healthy mouth! Just follow the tips to help reduce the chances of cavities. 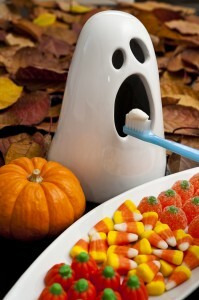 Dr. Nichole Martin is here to provide you dental care in Lynnwood during “candy season” and all other seasons. Call us to schedule an appointment today!